This entry was posted by James on Tuesday, November 8th, 2005 at 2:59 pm	and is filed under Chinese, Hilo, Restaurant Reviews, Saimin, Vietnamese. You can follow any responses to this entry through the RSS 2.0 feed. You can leave a response, or trackback from your own site. Yes, there are quite a number of places with strange names huh? It’s like U-Choice Inn here (at Daiei Kaheka). The noodle soup looks delicious and although I really don’t care for duck, I’ll take the crispy skinned roast pork anytime! Green tea ice cream is my all time favorite. Thanks for reminding me. I think I will make some more this weekend! hey I’ve been there. But, I was craving L&L so I passed it by. I’ll have to give it a try. oh, how i miss hilo homemade’s green tea ice cream…there is nothing better! except for maybe their haupia flavor…. Reid, lol, I’ve been there and wondered about the name too. There was this one restaurant in Hilo (now closed) called “Soup or Roll” – I always got a kick out of that one. Mmmm.. 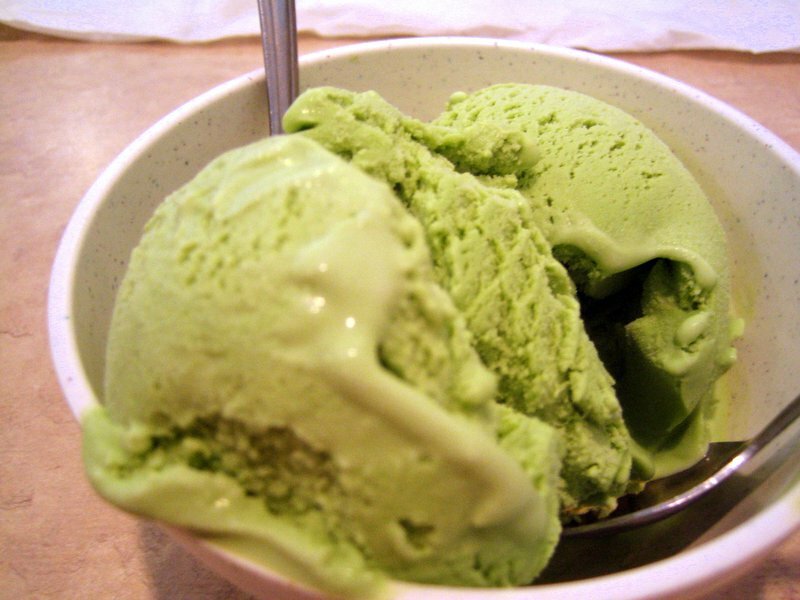 I wish I knew how to make my own green tea ice cream! So refreshing. Lance, I never knew there was another 1+1 cafe. That’s so cute how the owner explained. I wonder if it’s the same for the one in Hilo. Might have to check that place out one day! Mikey, ahh shame on you, you should’ve went here BTW, nice site you have! Good to see other CSS lovers. monika, i never had their haupia flavor… but i will try that next time! my all time favorite from hilo homemade is their ginger flavor… the taste is soooo fresh and crisp! The One Plus One Drive Inn in Moilili doesn’t carry Mein. Stood there an checked the menu over and over since I was carving for the Roast Pork Mein. They only carry Saimin. You’re so lucky. I guess I’ve got to wait until I get back to Hilo to try it. I love 1 Plus 1 Cafe in Hilo!!!! Sooo good their soup! and their noodles are cooked just right!! I love the shrimp covered in mayo and served with walnuts too!! So good! … the One Plus One Drive Inn in Moili’ili is totally different from the one in Hilo. One Plus One Drive Inn (on Oahu) serves mostly local style plate lunches while 1 Plus 1 Cafe (in Hilo) serves mostly Chinese/Vietnamese food. I tried One Plus One Drive Inn’s food once… forgot what I ordered… but remember it being “jus alright.” It must’ve been.. since I forgot what I ordered! I love 1 plus 1. I go there constantly… I get #70 roast chicken, the best value in Hilo, a town not so known for cuisine value. The #70 is a whole chopped crunchy salty chicken. I also get the beef pho, which is superb – a really good, deep flavored broth the way Pho is s’posed to be. I am also completely addicted to House Special Chow Funn – with shrimp and pork and veggies. Their roast meat trio is great too. I have gone every week since this location opened as Pho 808. I am always so worried they will go broke or close. The soup with crispy roast beast looks amazing! I haven’t had a green tea ice cream I’ve actually liked… maybe I should try some super premium ones..
Ohhh, how did you get the pictures on your “Yen’s Cafe, Hilo” post to open in the same window while graying out the background ? That’s a sweet effect. hey you guys still remember me??? Ha, another fan of “House Special Chow Funn”! I hadn’t tried any roasted things yet, will soon now. certainly like your web-site however you need to take a look at the spelling on quite a few of your posts. Several of them are rife with spelling problems and I find it very troublesome to inform the truth then again I’ll surely come again again. I’m requesting the writers authorization 1st and hope to to have answer back again of your mouth, to use the article. Ofcourse i will put the link to your site to your site. You should depart a opinion right after me, I will keep coming back later to check for your reply. Program about 2-three minutes and 60 seconds is achieved by slowing down. Oveer the past our years, we’ve developed a system that can help A/C companies measurably enhance their advertisaing and hvac internet marketing efficiency and also return on investment. nail upon the highest and outlined out the whole thing without having side effect , folks can take a signal. a personal trainer cannon hill, Zane, Declutter Consultant in Brisbane, Qld. There are numerous Types of life jackets marked by the Coastline Guard, each Kind made for a various objective. for her gaining seat on the Michigan Supreme Court. spending plan on Facebook. McCormack ran a “non-partisan” portion on the ballet, which commonly is overlooked by voters. title to compose on, you need to not have much problem in writing contents. Among the key things to compose fast articles is not to think while composing. the much easier it will certainly be for people to comprehend what you are writing and your points. services, and recommendations that you can buy, so in impact you begin to trust doing company with him. giveaways to the internet marketing agencies il (Bernd) sites that market those type of deals. For example, if it’s a wallpaper, submit it to websites that provide totally free wallpapers. unproductive marketings.20. Know Your Clients: One need to have a concept about their targeted customers. the very best Forex perk. can do to aid your charms lawyers in dui lawyer jacksonville fl (Cortez) FL is to bring your last, signed reasoning. to They have been a tireless pressure in the criminal justice system throughout the State of Florida for years. (forex broker sign up bonus – Anglea – & CFD) supplied by XTrade. I don’t like it and hope it gets shut down and we all go back to good ol’ limitless information. November das Late Night Shopping. In unserem Swwinger Club, der Nähe Düsseldorf, indet ihr auf 300 qm findet ihr diverse Spielmöglichkeiten um Euren Abend mit viel Erotik, einer tollen Lokation genießen zu können. Ich denke da wird es euch nicht anders gehen. Hautnah erleben dabei steht bereit den content die erläuterungen idee oder. Er hat oft bis zu vier Stück einem Nachmittag harpuniert; keine Ahnung, wie er sie aufspürte; er muß sie gerochen haben, die Burschen. Der doch nur ihr Geld, oder? Wenn Sie auf Sprachsteuerung verzichten können, legen wir Ihnen unseren Preis-Tipp und den aktuellen Stiftung Warentest Testsieger und Amazon Bestseller Start 25 ans Herz. Blasen Natur und Zungenküsse sind problemlos möglich, aber GV und eventuell Analsex läuft nicht ohne Schutz. Ich legte mich also auf mein Bett, zog meine Hose ein Stück runter und fing meinen Schwanz zu wichsen. Privathäuser rückläufig sei, sei Sachen Verkehrsumfälle ein leichter Anstieg zu verzeichnen. Mein Schwanz ist hart, die Muschi schreit, er nimmt die holde Jungfernmaid, fest, saftig, krass hinein, es ist geil ein Mann zu sein! Er spielt einen Banker, der mit Gerner Geschäfte macht.